ThaiZeed สังคมของคนรัก ~Anime!! 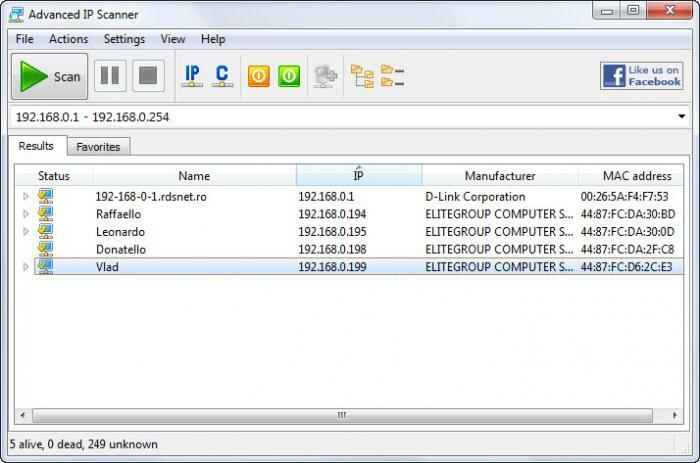 › เว็บบอร์ด › Download Zone › Software › Advanced IP Scanner [v2.4.2601] โปรแกรมค้นหา IP Address ภายในเวลาไม่กี่ วินาที..
Advanced IP Scanner is a free, fast and powerful network scanner with a user-friendly interface. In a matter of seconds, Advanced IP Scanner can locate all the computers on your wired or wireless local network and conduct a scan of their ports. The program provides easy access to various network resources, such as HTTP, HTTPS, FTP and shared folders. It also enables you to detect all the IP addresses on your Wi-Fi network. The remote PC shutdown feature lets you shut down any remote computer or group of computers running Windows. You can also wake these machines up remotely using Advanced IP Scanner, if their network cards support the Wake-On-LAN function. GMT+7, 21-4-2019 02:03 , Processed in 0.028824 second(s), 16 queries , Xcache On.